Superior Physics: Optimized instrumentation providing separate force and displacement channels for independent control. 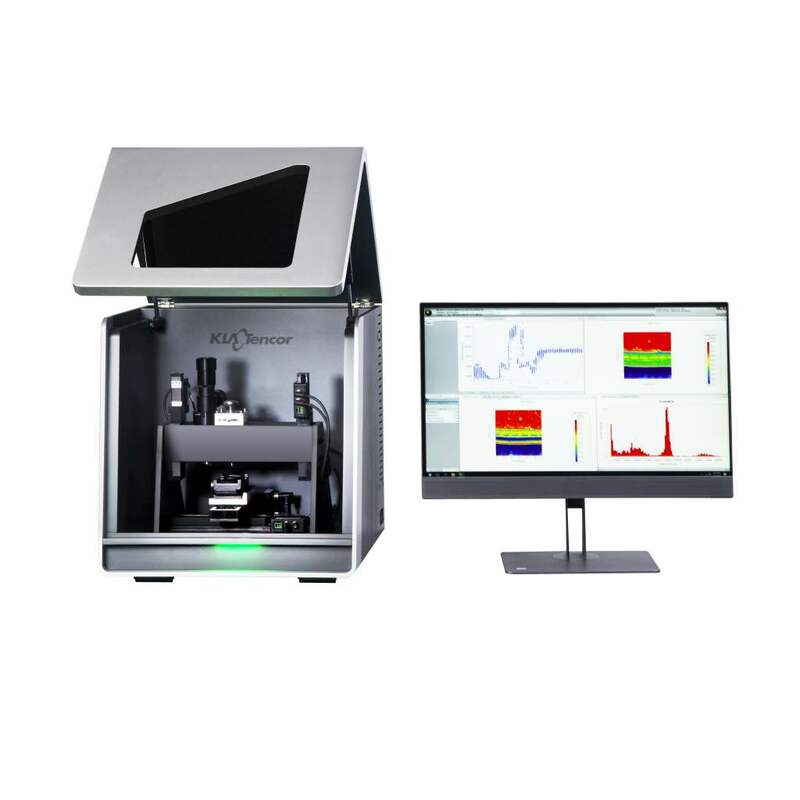 The iMicro nanoindentation system from KLA is the only nanoindenter capable of performing 4D mapping of materials in an accessible and easy to use platform, providing best-in-industry performance.From bio-gels to superalloys, the iMicro performs instrumented indentation measuring hardness and elastic modulus of materials. 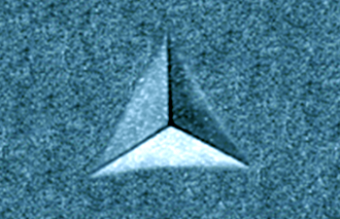 The iMicro nanoindentation system is capable of conducting dynamic and static microhardness and nanoindentation measurements including nanometric Vickers hardness. The iMicro offers unsurpassed accuracy, precision, and repeatability as well as flexibility and versatility. 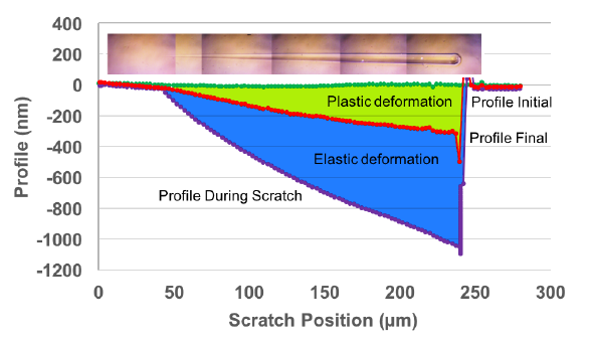 The iMicro nanoindentation system utilizes continuous stiffness measurements (CSM) to get depth dependent data providing orders of magnitude higher data. Special materials models are used to measure thin film properties by removing substrate effect in thin films. The complex modulus measurements such as loss factor, storage and loss modulus of polymeric materials can also be tested. The advanced characterization includes 3D property maps for heterogeneous surfaces, 4D property maps for depth-dependent properties of materials, electrical measurements for piezoelectric applications and scratch tests for coatings failure analysis. The iMicro has the flexibility to be configured for specific advanced characterization performance such as 3D property maps for heterogeneous surfaces and 4D property maps for depth dependent materials, scratch tests, and electrical measurements. The iMicro was designed with a user-friendly interface that requires minimal user training without the need to have a dedicated operator. High data acquisition rate at 100 kHz for events such as pop-ups, sink-in, adhesion test, peeling test. Electromagnetic actuation with independent load and displacement measurements and no need of calibrations because of linear module. The iMicro is flexible for multiple applications featuring software that can be customized for specific research needs. Utilizing the Hay-Crawford model foe extracting film properties. Users can implement pre-written test methods to gain valuable film properties without the influence of the underlying material. 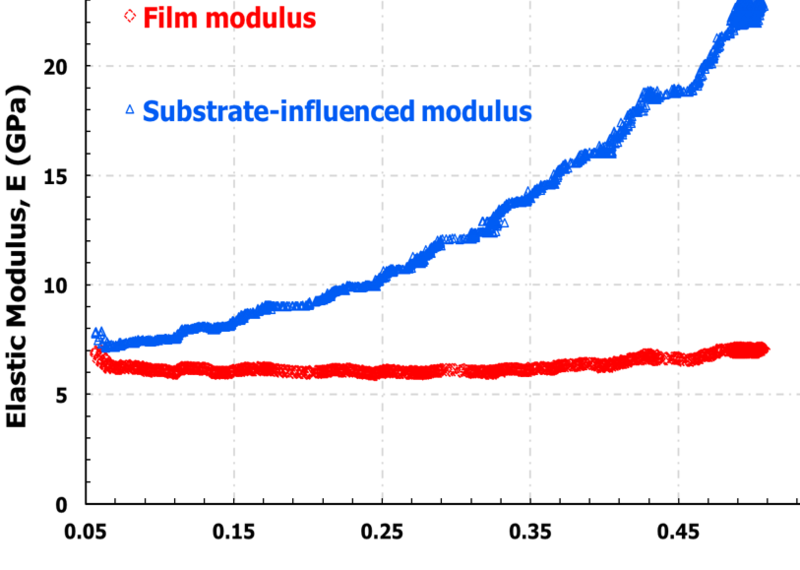 Evaluate elastic modulus and harness of films in under 50nM thickness. One dynamic measurement with CSM (Continuous Stiffness Measurement) can replace 50 static measurements. With a time constant of 20 µs, the iMicro simultaneously achieves maximum indenter travel with high resolution while minimizing noise. High load-frame stiffness greater than 3,500,000 N/m. Thermal drift rate lower than 0.05 nm/s. Automatic single-click tip area and frame stiffness calibration from one test. Intuitive InView experimental control allowing experimental setup on single screen and multiple profiles for multiuser environment.